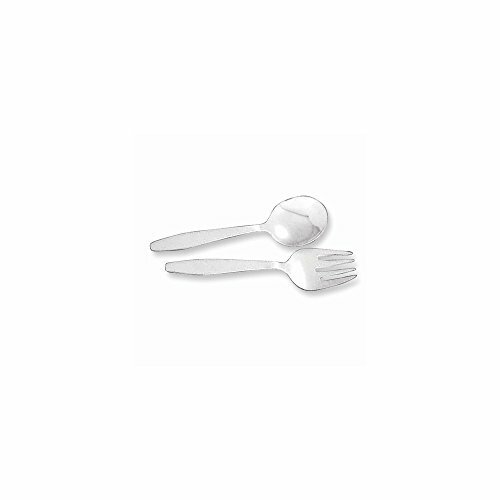 ^Sterling Silver Baby Spoon & Fork SetModel Number: GL4926 Feature Highlights Quality: Sterling-silverPrimary Metal composition: SilverSpectacularly DesignedFlawless FinishGot questions about this item? If you wish to know any additional info or have any additional questions regarding this item, please don't hesitate to send us an email. We will answer any questions in a timely manner.Thank you.Please be sure to include the ASIN number of the product you are inquiring about in your message.. If you have any questions about this product by VI STAR, contact us by completing and submitting the form below. If you are looking for a specif part number, please include it with your message.